NVIDIA took to the internet today to announce that with the latest version of macOS 10.14 Mojave, that users of their Graphic cards are experiencing regressions in rendering and slow downs overall over performance. But while Cupertino pays lip service to the professional community, RED is stepping in and working with NVIDIA to create an 8K workflow for their higher end cards. 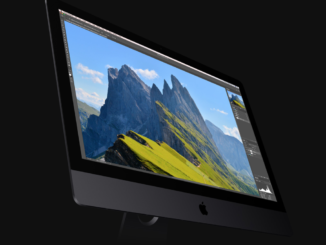 According to Studio Daily, users who upgraded to macOS Mojave without knowing of the change, are pretty upset that their computers are now running into bottlenecks because their GPUs are not supported after the update. They’ve taken to twitter to get the word out with the hashtag #UnblockNVIDIA, and are running a change.org petition urging Apple to approve new drivers that NVIDIA can develop to support the Mojave upgrade. 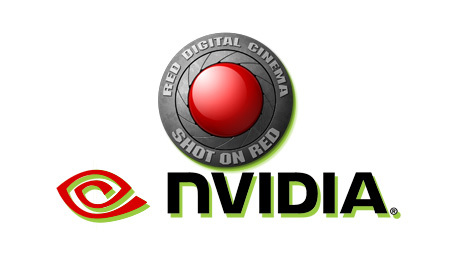 Meanwhile, NVIDIA has their fans with RED. You remember when Jarred Land resurrected his old 2010 MacPro using new GTX-Tiger drivers and a GTX1080Ti card, along with a RED Rocket-X GPU. Well that looks to be the beginnings of a beautiful friendship, as RED is now partnering with NVIDIA to create a real time 8K video workflow for single CPU workstations equipped with NVIDIA GPUs to process REDCode Raw video files. All natively with no proxies or caching. Before the partnership, RedCode Raw could only be ingested using the RED Rocket-X GPU. Using RED’s Cuda accelerated R3D SDK and REDCine-X Pro software, workflows can now decode and debayer 8K based R3D files using a higher end NVIDIA card like the Quadro RTC6000 GPU. 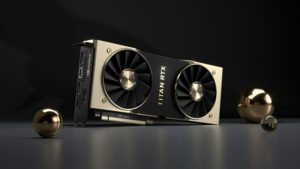 Now that’s a $6300 card, which would far more expensive than just buying a new computer, but NVIDIA says that the same performance can be achieved using an NVIDIA Titan RTX ($2499) or a lower end GEForce RTX 2080Ti. 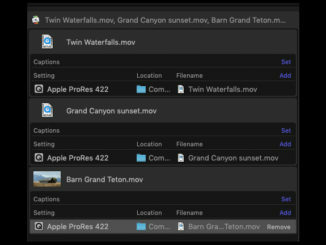 “Editors will gain from new functionality like AI-enabled upscaling, which will let them intermix archival footage or zoom in beyond 8K resolution with the best possible results,” NVIDIA added. The NVIDIA/RED 8K Redcode Raw workflow will be available by the end of Q1 2019.